Birds are the perfect hook for getting kids interested in nature. Children are mesmerized by nature, so a window into that world is all you need to get them started on this lifelong hobby. Backyard bird feeders are a wonderful place to start. Neighborhood parks also provide endless potential for observing birds, as well as butterflies, dragonflies, frogs, toads, rocks, leaves and more. Many parks also have wetland areas, and since water birds are often large and conspicuous, ponds are enjoyable for beginning birders. 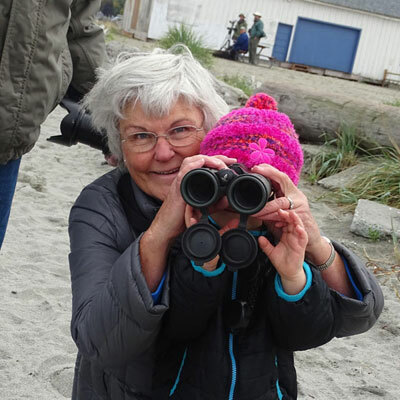 Birding as a Family When kids see an unusual bird or observe its entertaining behavior firsthand, they’ll be thrilled. To get started, consider attending a guided bird walk. Many local bird clubs, nature centers, parks and wildlife refuges offer regular walks. Your local Audubon Center is another treasure trove of information and is a great place to visit. The younger your budding naturalist, the more important it is to be flexible. Rather than focusing solely on birds, encourage exploration and opportunities to discover something in the natural world. Perhaps the glimpse of a small animal—or something as simple as a caterpillar or pretty stone—becomes a lifelong memory. For younger children, binoculars may be a bit tricky to master and can be frustrating. To start, skip identification and go on a bird-behavior scavenger hunt without the pressure of pinning down an exact species. Ask kids to watch for specific behaviors, from preening and perching to walking and hopping. Bird Walks & Nature Trails Few things are more inspiring than exploring nature with children. With over 70 Metro Parks in the region, there are endless opportunities for birdwatching. Nature trails, woodlands or wetlands provide exciting opportunities for exploring nature and wildlife. Some locations offer scheduled guided walks.